V Neck T Shirt with Sienna Brown 15/70mm Countdown - Film Leader Co.
Each shirt is a one-of-a-kind piece, made to order. 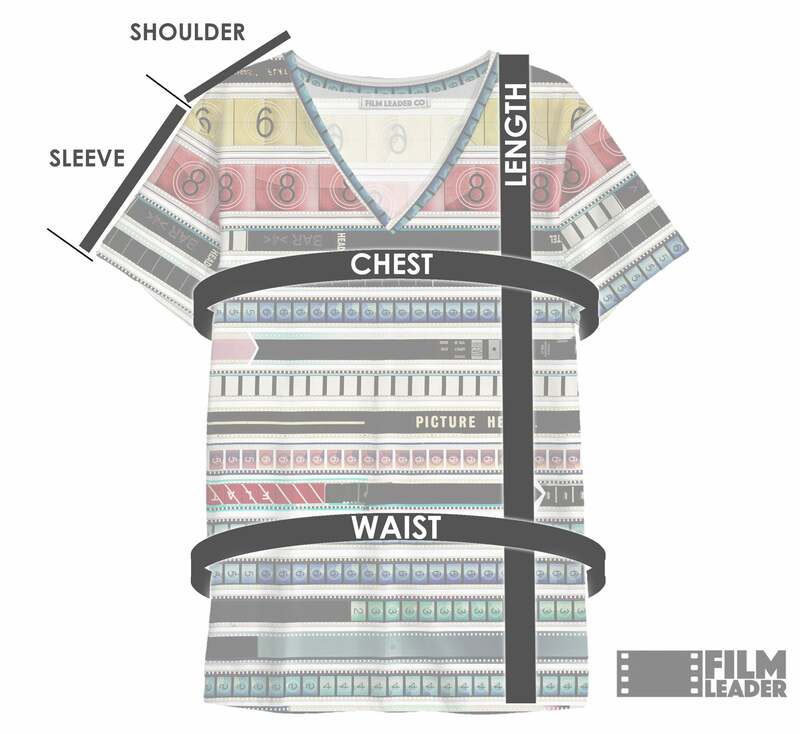 Particular film strips may fall in different areas of the shirt depending on the size ordered and placement of the pattern. Each one is unique. Because each shirt is made to order, it may take up to 3-4 weeks to ship.